Women fall short where protein intake is concerned but a few easy changes can help. 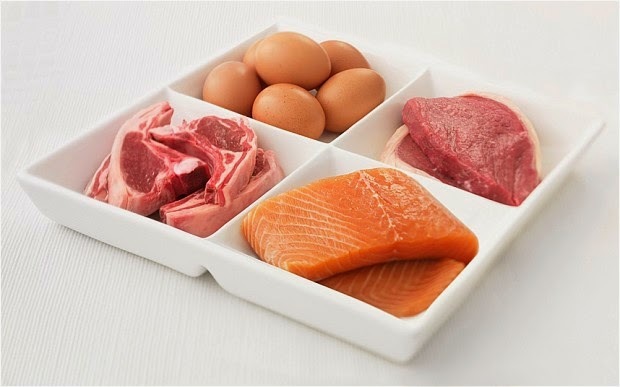 A lack of protein, explains pharmacist Marla Ahlgrimm, can cause a host of unpleasant symptoms including fatigue and muscle loss. Worse still, this type of deficiency may reduce the body’s ability to heal after an injury and may also compromise the immune system. Eggs – Hard boiled eggs are an easy and portable snack packing 8 grams of protein in each little oval. And, eggs can be added to salad for an edible garnish. Salmon – Salmon is a versatile fish that can be grilled, baked, broiled, or even minced and made into salmon croquettes. And with 17 grams of the good stuff, one three ounce serving of salmon packs a protein punch. Flaxseed – Marla Ahlgrimm explains that adding flaxseed daily can increase a woman’s protein intake by as much as 11 grams. She says this tiny wonder can be mixed with smoothies or snuck into baked goods. Soybeans - Bright green and full of lean, mean, health-enhancing protein, soybeans deliver 15 grams of protein. Marla Ahlgrimm says edamame – a fancy word for soybeans - is one of the easiest dishes to prepare and simply requires a little salt, a little water, and 15 minutes of simmering. The average woman in the US actually consumes more calories than her body needs, cautions Marla Ahlgrimm, but doesn’t eat nearly enough whole foods containing protein. For the best chance at consuming the recommended 60 grams of protein per day, Ahlgrimm suggests skipping the drive through and spending a little time preparing meals at home. This should include a balance of lean meats and poultry and plenty of vegetables and low-fat dairy products.